Little project I am doing for my cousin, it's an insulated meat shack with rails. Going to put a cooler inside and electrical, all steel and aluminum, R12 insulated. 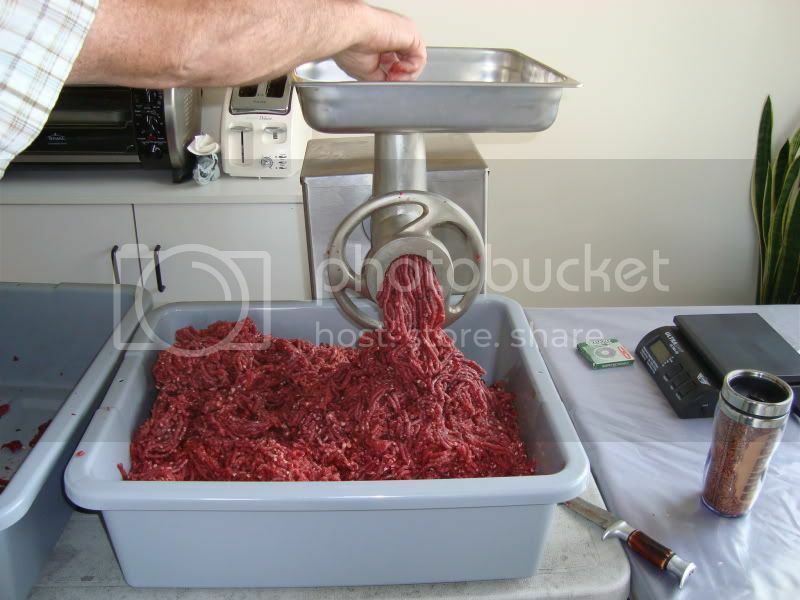 He is going to trailer it, put his quad inside then take it out to his hunting camp with a genset, quarter and hang his meat then unload it at home after and set it up next to his smoker and process his meat inside and make his own jerky and sausage. It's engineered for a 5000lb 4 point lift. I'm sensing a sideline business coming on here. Anytime you find yourself down in Lethbridge with nothing to do give me a call you can practice your art on the side of my garage. Thats awesome , Now if a guy could get a some sort of a cooling unit and run a Generator to keep it cool could be hunting with no issues of spoiled meat . Smoker. And a place to hang game while friends hunt from my place. Lol,, right on boys thats awesome. That wouldn't be for Dave would it Paul..
That's really good idea for those Hunters that play in remote areas. Looking good Paul.. You boys don't enjoy yourselves to much in there this fall,, nah screw it,, go hard lol. I am actually looking into building small cooler buildings for guys that want to hang their animals. This is quite a bit fancier then I was thinking of building. I am looking for opinions on what guys think are a good size of building and what kind of price guys would be willing to pay for one. I was thinking of making it somewhat portable so guys could take them into camp with them. I am thinking about using a window mounted air conditioning unit to keep it cool so anyone should be able to run them off of a generator or if you have it at home it could be plugged into any normal house or garage outlet. all advice is greatly appreciated. Sorry for hijacking the thread I just thought what I was doing was sort of similar to this but quite a bit smaller and just for hanging. Pm me with advice if you want to keep it out of this thread. I think for just a small meat locker where you wouldn't be processing any game 6 x 6 would be good, 8' wall maybe. Should handle a moose/elk or a couple deer. That is freaking awesome! Don't think I could properly explain in words how jealous I am of your cousin right now lol. That is the ultimate in convenience, never have to cut a trip short due to warmth and never have meat freeze on a cold trip and have to let it thaw when you have time to cut it. Without any wood to soak up blood and stuff it will be easy to clean to what a heck of a set up. 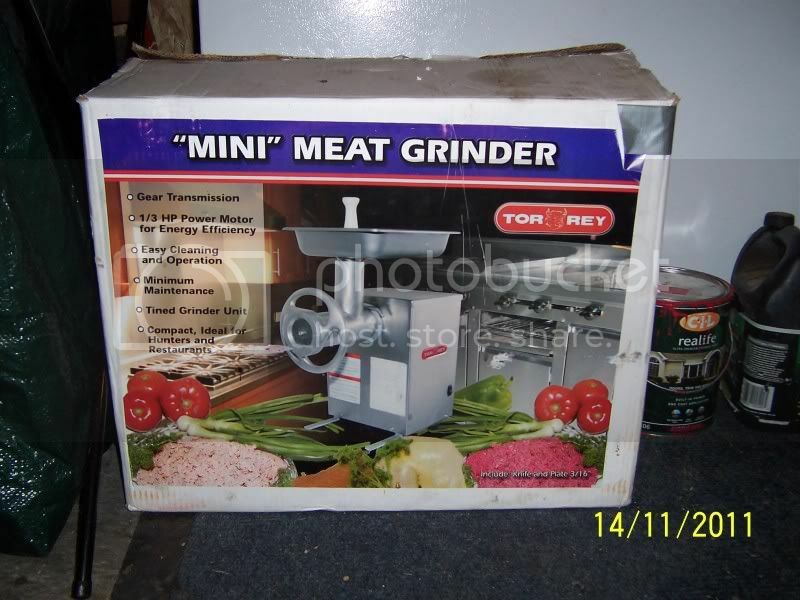 Paul, if you think about putting a meat grinder in there I got the perfect one for you.